The past year has been a glowing one for Irish film, with the industry undergoing a major surge, winning a number of Oscar nominations for Brooklyn, Room, and Stutterer. Now each of these films are to be joined by a host of other Irish productions to be honoured at the 2016 Irish Film and Television Awards. In its 13th year, the IFTAs celebrates the many achievements of Irish film throughout the year, recognising the multiple and varied talents of each sector of the industry. Nominees for this years show, which will take place on Saturday 19th April at the Round Room of the Mansion House, were announced earlier today and showcase just what an outstanding year it has been for Irish film. Among the nominees for Best Film are Brooklyn, Room, and Sing Street. Brooklyn and Room both received widespread acclaim, and were each nominated for Best Film at the Oscars. Sing Street, the latest offering from the esteemed John Carney, also won rave reviews when it opened at the Sundance Film Festival in January. Opening in cinemas here this Thursday 17th, St.Patrick’s Day, Sing Street has also earned itself an American release, proving that audiences can’t get enough of this heart-warming flick. Unsurprisingly, Saoirse Ronan has been nominated for Best Actress in a Lead Role in Film for her stirring performance in Brooklyn. Among those joining Ronan in this category is Evanna Lynch for My Name Is Emily. Included in the race for Best Actor in a Lead Role in Film are Colin Farrell for Lobster, Domhnall Gleeson for Ex-Machina, and Michael Fassbender for Steve Jobs.There is also stiff competition in the Best Director Film category. Among the nominees are Lenny Abrahamson for Room, John Carney for Sing Street, and John Crowley for Brooklyn. Also appearing on the night will be Liam Neeson, who will be honoured for his “outstanding contribution to Irish film”. Reminding audiences of just how outstanding and vast a talent Neeson is, one of his earlier films, Michael Collins, is returning to cinemas this Friday 18th to mark the 2Oth anniversary of the epic tale. For a full list of nominations please see below. Ruth Negga – Marvel Agents of S.H.I.E.L.D. Spotlight surpasses all to scoop up Best Picture, and Leo finally gets that Oscar! The biggest movie event of the year took place last night, and the 88th Academy Awards held more than a few surprises. Leo finally won his Oscar for Best Actor, much deserved for his powerful performance in The Revenant, for which Alejandro G. Inarritu won Best Director, but Best Picture did not go to the grizzly adventure thriller, but to Spotlight. The cast and crew took to the stage amid rapturous applause to accept the award for this very important film, telling the true story of a group of Boston journalists who uncovered widespread sexual abuse within the Catholic Church, and producer Michael Sugar spoke out about the message of the film, stating “this film gave a voice to survivors, and this film amplifies that voice, which we hope will become a choir that will resonate all the way to the Vatican”. Spotlight also won for Best Original Screenplay. The big winner of the night came as a shock to many but was undoubtedly deserving of such esteemed recognition, as Mad Max: Fury Road took home a whopping six awards, three more than any other film, scooping up a bundle of technical awards, including Best Costume Design, Best Production Design, and Best Make-up and Hair. Although Ireland was well represented at the event, with Brooklyn nominated for Best Picture, its star Saoirse Ronan up for Best Actress, Michael Fassbender in the running for Best Actor for Steve Jobs, and Lenny Abrahamson’s Room included in a number of categories, including Best Director and Best Picture, none of these nominations transformed into golden statuettes. Brie Larson did, however, win Best Actress for her outstanding role in Abrahamson’s Room. Stutterer, written, directed, and edited by Irish filmmaker Benjamin Cleary, won Best Short Film, ending his acceptance speech with “Every day is a proud day to be Irish, but today even more so… Slainte!”. As well as honouring the achievements of movie stars over the last year, the show, far from merely being a glitz and glam affair, addressed a number of serious issues. Host Chris Rock immediately spoke out about the #OscarsSoWhite controversy, calling the Oscars the White Peoples’ Choice Awards. Rock made the outcry over the lack of diversity in the nominations a key part of the night, with most of his monologue and talk between awards focused on this injustice. Stating “You’re damn right, Hollywood’s racist”, Rock went on to explain that Hollywood is plagued by a different kind of racism than what people are accustomed to, saying Hollywood is “sorority racist”. He got to the heart of the issue when Rock stated that all that was being asked was for equal opportunities for minorities to be able showcase their talent too. Lady Gaga also make good use of her time on stage, giving a stirring performance of her Oscar nominated song Til It Happens To You, written for documentary The Hunting Ground, which tackles the issue of widespread sexual abuse on U.S college campuses. Gaga was joined on stage by 50 survivors of sexual assault, with commentators describing it as the moment that won the Oscars. However, the award for Best Original Song went instead to Writing’s On The Wall from Spectre. A night of surprising and not so surprising wins, a night which shined a light on numerous issues which need to be addressed, and a night that will surely dominate headlines for the coming days, the 2016 Oscars was a night to remember. For a full list of winners please see below. 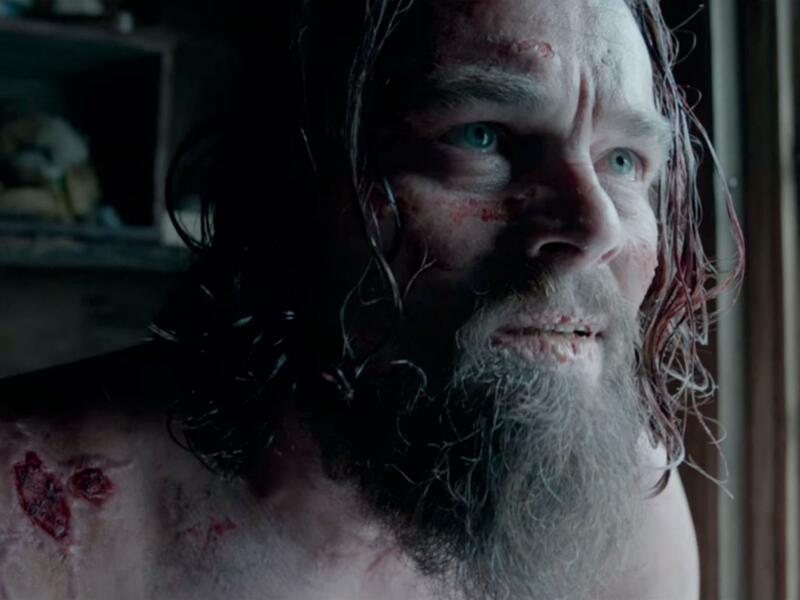 LEONARDO DICAPRIO, THE REVENANT – WINNER! MARK RYLANCE, BRIDGE OF SPIES – WINNER! ALICIA VIKANDER, THE DANISH GIRL – WINNER! ENNIO MORRICONE, THE HATEFUL EIGHT – WINNER! WRITING’S ON THE WALL, SPECTRE – WINNER! Severed from the rest of the world and held captive in a tiny, squalid room for seven long years, a young mother and her five year old son must find a way to cope with their imprisonment, to cope but never give up hope, striving to find light within the darkness. This resolve to never abandon hope and the sheer strength of the human spirit in the face of absolute horror is what Room embodies. Dublin born director Lenny Abrahamson crafts a harrowing, frightening in the extreme and yet inspirational and beautiful film which will stay with you for days. Based on Irish-Canadian writer Emma Donoghue’s 2010 novel of the same title, Room is a forceful testament to the strength of a mothers love. An intensely claustrophobic atmosphere is created in this film, the audience being transported into the hell on earth that confines Ma, a.k.a Joy (Brie Larson) and her little boy Jack (Jacob Tremblay), with half of the film set within the room itself, evoking a strong sense of the oppressive air that stifles Ma and Jack’s lives on a daily basis. Yet, Ma does all within her power to ensure that life is as normal as possible for Jack. In return, Jack brings light and love into Ma’s life, instilling her with the strength she needs to survive. Brie Larson, as Ma, gives an awe-inspiring and chilling performance, one that has earned her a Golden Globe for Best Actress, as well as a Critics’ Choice Award and an Oscar nomination. Her co-star, Jacob Tremblay, only nine years old, is simply amazing, bringing buckets of energy and emotion to his part, for which he most deservedly won the Critics’ Choice Award for Best Young Actor. The monster of the piece, their captor, whom they dub Old Nick, is played by Sean Bridgers. Abducting the seventeen year old Joy, he imprisons her in his garden shed, tormenting her with cruel visit after cruel visit, sexually assaulting her on a regular basis, and then whining to her about his hardships, such as losing his job. Abrahamson and Donoghue have created in Old Nick a figure that truly embodies the banality of evil. Once Joy makes the courageous decision to escape, this evil follows her into the outside world, depicting what happens after freedom – the media circus, the struggle to once again adapt and the battle to fend off the demons that remain. Ultimately though, it is that ability to adapt and to overcome that shines through, with Jack personifying the wonder and magic of the world that nourishes the desire to survive and live. Nominated for four Oscars, including Best Picture, Room is a work of cinematic art that conveys an important message, reminding us to appreciate the beauty in the world around us and to never give up hope. Join in the buzz of the award season excitement with these three Oscar nominated movies playing at SGC Dungarvan right now. Honoured by Hollywood for their very different, yet equally outstanding works, The Revenant, Room and Creed all opened here on Friday 15th, and it will be clear to all movie lovers why each has received recognition by the 88th Annual Academy Awards. The favourite, with an impressive twelve nominations, is The Revenant. 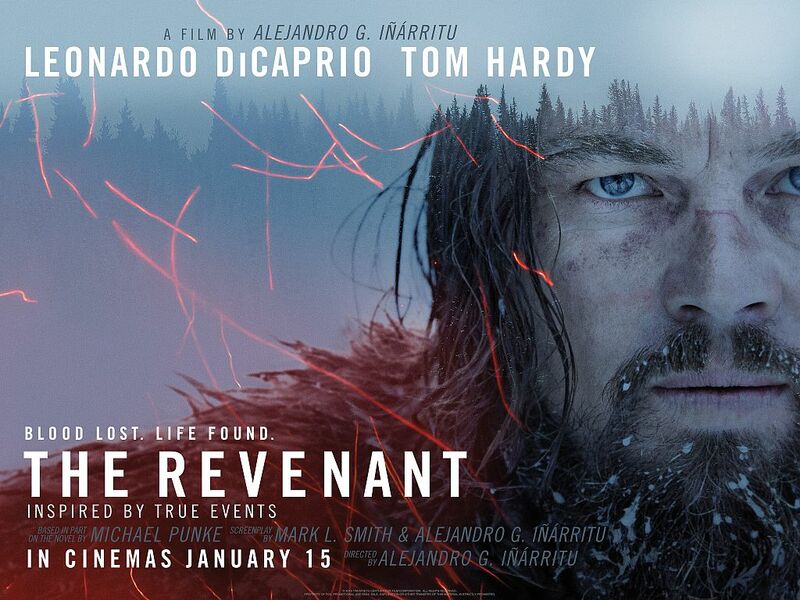 Directed by Alejandro G. Inarritu and starring Leonardo DiCaprio, Tom Hardy and Domhnall Gleeson, The Revenant, inspired by true events, tells the harrowing tale of Hugh Glass (DiCaprio), a frontiersman on a fur trading expedition in the 1820’s, who is left fighting for survival after being mauled by a bear and left for dead by members of his own hunting team. The thrilling adventure saga has taken Hollywood by storm. Having already won big at the Golden Globes earlier this month, scooping up Best Motion Picture: Drama, Best Director, and Best Actor, things just keeping getting bigger and better as it is now in the running for a whopping twelve Academy awards, including Best Picture, Best Director, and Best Actor. Leo may finally, finally, get to take home that elusive Oscar! Directed by Dublin native, the gifted Lenny Abrahamson, flying the flag for Ireland at the Oscars, with a grand total of four nominations, is Room. Starring Brie Larson, winner of the Golden Globe for Best Actress, Room tells the story of a five-year-old boy, Jack (Jacob Tremblay), and his relationship with his loving and protective mother, Ma (Brie Larson). The pair shares a special bond, but their life is anything but normal as they are trapped, help captive in a tiny, windowless room, which Jack has never been outside of. Determined to save her son, Ma plans a daring escape. A stirring film, Room stands as a great testament to the strength of a mother’s love. Based on the novel of the same title, by Irish-Canadian writer Emma Donoghue, Room is in contention for Best Picture, Best Director, Best Actress, and Best Adapted Screenplay for Donoghue herself. Creed will also be joining in the festivities on the night. 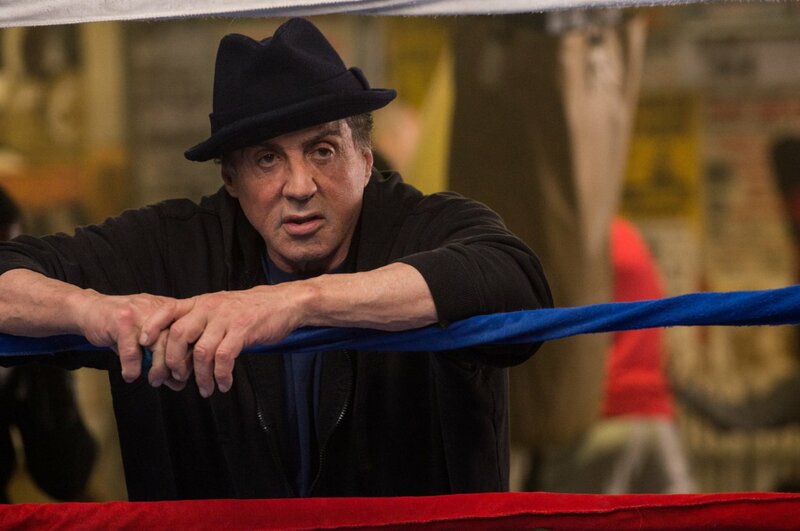 Proving that you can’t keep a good man down, Creed’s Sylvester Stallone is nominated for Best Supporting Actor. The seventh instalment in the mammoth Rocky series, Creed, directed by Ryan Coogler, sees the return of Rocky, except this time round the former World Heavyweight Champion is stepping in the ring as a mentor, training Adonis Johnson (Michael B. Jordan), the son of his late friend and famous boxing rival, Apollo Creed. Born after the death of his father, Adonis is determined to follow in his father’s footsteps and, with Rocky’s help, he strives to prove that your legacy is more than a name. Victorious at the Golden Globes, Stallone paid tribute to the Italian Stallion, saying “most of all I want to thank my imaginary friend Rocky Balboa for being the best friend I ever had”. Muscles of steel, heart of a big ole softie. Swelling the nation’s chest with even more pride are other Irish nominees, Saoirse Ronan, nominated for Best Actress for her role in Brooklyn, which is also up for Best Picture, and Michael Fassbender, selected for his lead part in Steve Jobs. Opening on a high, 2016 has already proven to be an exciting year for cinema-goers, with these three acclaimed movies only the beginning of a line-up of must-see releases! The Oscars, hosted for a second time by Chris Rock, will take place on 28th February.